This list of Sally's games. Includes all the time management games in the franchise. Genres: Time Management, Tycoon, Sim, Strategy, Sally Games. Description: Help Sally make her way from the humble beginnings of a stylist in her hometown shopping mall to the super star status of a top beautician in glamorous Hollywood. As you grow and evolve your very own virtual beauty salon, you’ll meet a diverse group of emotional customers. From little old ladies to punk rockers, you’ll work with Sally to make the world a more beautiful place one customer at a time in Sally’s Salon, an exciting Time Management game. Description: After a much needed break from life in the hair salon business, Sally and her friend Nell are teaming up to take the Spa world by storm. Visit gorgeous Spa locations spread across the world, on a quest to melt away everyone’s stresses by relaxing in Sally’s Spa. Perform all kinds of Spa services from Facials, Manicures, Bath Bombs, Hot Stones Massages and more in this fast-paced Time Management game! Description: Join Sally as she travels the world helping people feel their best! Warm up on the beach, find balance at a mountaintop retreat, unwind in a peaceful courtyard and lots more. Along the way, meet a colorful collection of customers, from teachers and tourists, to ballroom dancers and Olympic athletes in Sally’s Studio! Keep everyone motivated using your fantastic Time Management skills and keep your studio profitable! 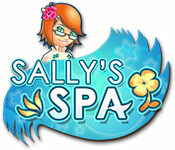 See also: Sally's Spa Full Version Download for PC and Mac.